UO Football Helmet — Go Ducks! Different helmets do different things. 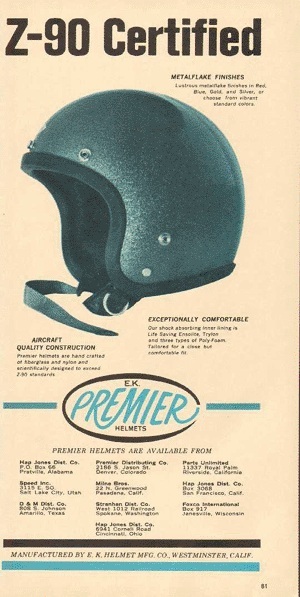 There are hard hats on construction and heavy-industry heads; football helmets on athletes’ heads, Kevlar® caps on military heads and DOT certified helmets on motorcyclist heads. None are interchangeable. However, the motorcyclist in this photo might disagree. On the weekend I was driving on Highway 217 and came upon this motorcyclist flashing some new reflectivity protective head gear – a University of Oregon football helmet! I’m not sure if this “learning moment” is one where we ridicule his fashion faux pas or criticize the multiple color combinations of motorcycle, helmet, shirt, pants, socks and shoes, and how they’ll never pass the Nike-design standard. But, most concerning is the specific amount of retroreflective material on the helmet and how it may well exceed state standards! Yep, a number of states have exact information on the location and number of square inches of retroreflective material required on motorcycle helmets. I’m currently researching this fun fact and will report an update when I learn if Oregon has such a requirement embedded in the helmet law. Motorcycle helmets are very sophisticated and specialized for an activity. They’ve been developed carefully and scientifically over the years and wearing a DOT helmet properly strapped on your head is mandatory in the state of Oregon. If you want to read more about Oregon helmet laws go HERE. If you’re interested in helmet standards go HERE. The NHTSA is proposing to amend several aspects of Federal Motor Vehicle Safety Standard (FMVSS) No. 218, Motorcycle Helmets HERE. We’ve heard this tune before. Many call it stupid and other’s will call it living. The history of mandatory Helmet Laws in Oregon is a convoluted yet interesting journey back in time. The year was 1966 and the Interstate Highway System was under construction with massive amounts of federal funds from gasoline taxes. Each state had to pony up only 10% in matching funds to participate in this huge construction project and all the jobs it created. Then in 1967, to increase motorcycle helmet use, the federal government required the states to enact helmet use laws in order to qualify for certain federal safety programs and the above highway construction funds. The federal incentives or rather the threat of a reduction in construction funds worked! State after state fell to the federal “blackmail” threat. In Oregon the legislature first instated helmet use laws on January 1, 1968 where they remained in place until 1977. As an aside, in 1971 the Easyriders Magazine Editor, Lou Kimsey started A Brotherhood Against Totalitarian Enactments (ABATE). 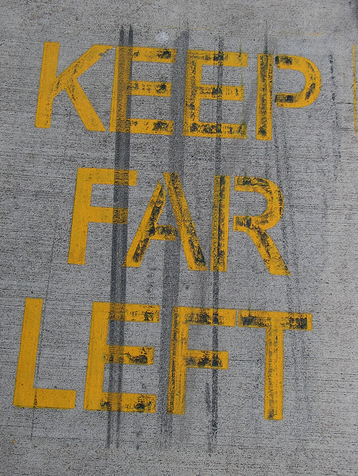 The acronym fit at the time as unelected federal bureaucrats were in fact using coercion on state legislators to have specific laws enacted within the states. In 1976, states successfully lobbied Congress to stop the Department of Transportation from assessing financial penalties on states without helmet laws and shortly thereafter began a pattern of repeal, reenactment, and amendment of motorcycle helmet laws. Specifically in Oregon, on October 4, 1977 the helmet law was repealed for age 18 and over. Then twelve years later on June 16, 1989 the mandatory helmet law in Oregon was reinstated for all motorcyclists by voter referendum. By all accounts this was one of the lowest turnout elections in Oregon history and it had become a fairly common trend in the state, where-in off-season election years — which typically had low voter turnout — legislators worked to jam through bond measures, tax increases and other unpopular measures on residents. Then in 1997 the federal government (NHTSA) reported that although helmets were the principal countermeasure for reducing crash-related head injuries and the leading cause of death among unhelmeted riders, motorcyclist deaths were at a record all time low. 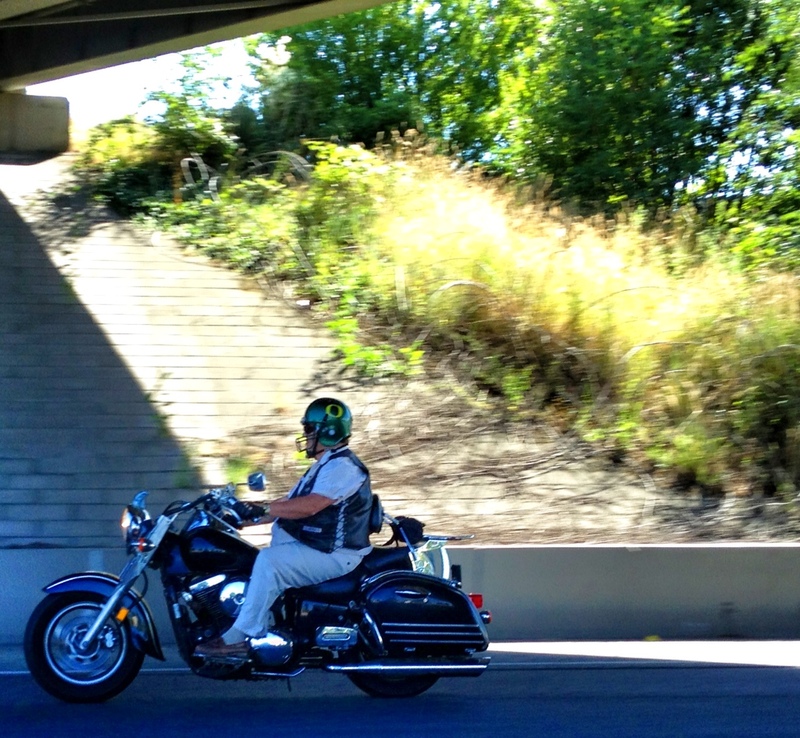 Along the way a funny thing happened — any federal funding tied to state motorcycle helmet laws seemed to evaporate. In the same year along came Oregon House Bill 2454 and the first real opportunity to change helmet laws. The intent of HB 2454 was to repeal mandatory motorcycle and moped helmet requirements for operators and passengers over 21 years of age. 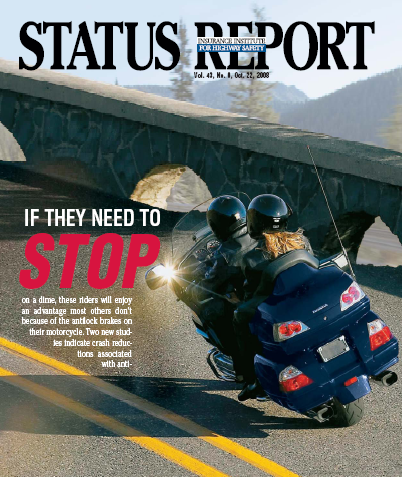 The measure required the Director of the Department of Consumer and Business Services to investigate whether the elimination of the helmet requirement for those 21 years and older increases the need for and feasibility of personal injury protection insurance for motorcyclists. There was concern based on the cost of the Oregon Health Plan system that medical expenses would rise for un-helmeted motorcycle accidents and the state would foot the bill. At the time failure to wear a motorcycle helmet was a Class D traffic infraction. The violation was reduced from a Class C traffic infraction back in the 1995 legislature. I am returning herewith HB 2454, unsigned and disapproved. The bill would repeal the motorcycle helmet law for riders 21 years of age and older. While I respect motorcycle riders’ desire to choose whether to wear helmets, maintaining the current law is clearly in the best interests of the citizens of Oregon. This is consistent with the public position I have held on this issue for almost 20 years. I am vetoing this bill, based not only on my experience as an emergency room physician, but also because the research clearly demonstrates that motorcycle helmet laws save lives, prevent injuries, and save public dollars. than helmeted riders in crashes, and the majority of the costs are paid by the public rather than by the injured motorcyclist. If our helmet law were to be repealed, Oregon Medical Assistance Program estimates an increased expenditure of over $6 million of public funds per biennium to pay for additional health care costs. 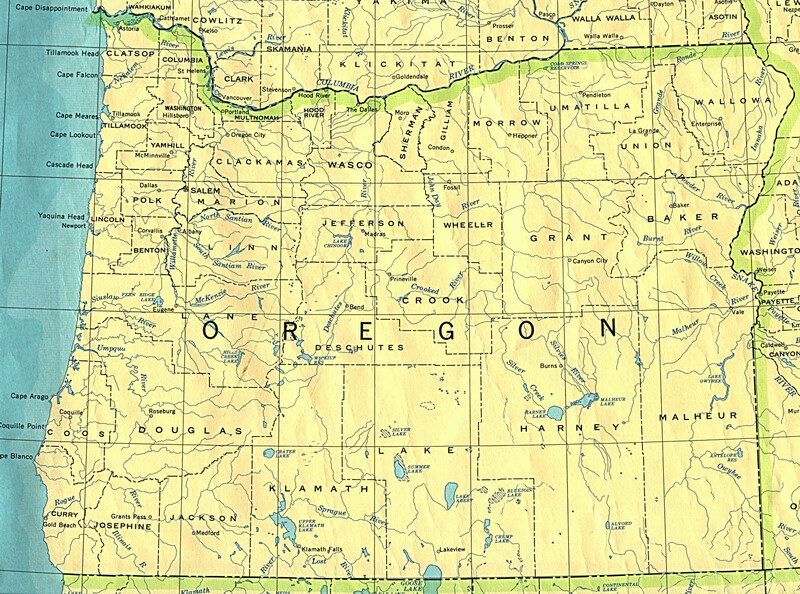 In addition, Oregonians showed strong support for mandatory motorcycle helmets when they overwhelmingly approved the 1988 referendum by a 2 – 1 margin. The measure passed in every county. A recent poll conducted by an independent research firm has shown that the people of this state continue to support the helmet law by a wide margin. I will continue to oppose repealing the motorcycle helmet law based on my concern for the health of Oregon motorcyclists and my commitment to the judicious use of public funds. As I have stated in the past, the only way I would consider signing such a measure into law would be if those who are advocating freedom of choice for adult riders would also ensure that those exercising such a freedom also accept the full economic responsibility for their actions. Now after seven years of being out of politics John Kitzhaber (62) wants a do-over and says he’ll be a better governor…this time. I’m betting not for motorcyclists. Disregard that as an emergency room physician he just knows what’s best for the people of the state. Never mind that he voted so many times for higher taxes that it earned him the nickname “Taxhaber” or that he vetoed so many Republican bills that they called him “Dr. No” or that in his last term he publically announced in frustration that the state was “ungovernable.” He was right. He couldn’t. In fairness, the ex-Gov. Kitzhaber did sign on June 11, 2001, the HB 3885 bill where motorcyclists won the right to pump their own gasoline. Oregon and New Jersey are the only two states that prohibit self-serve gas pumps and after going into law motorcycles were the only class of vehicle allowed to dispense fuel into their tanks. Prior to this law going into effect on January 1, 2002 it was an arm wrestling match with the local high-school pump jockey about who was the fuel expert for your specific brand of motorcycle. There you have it. 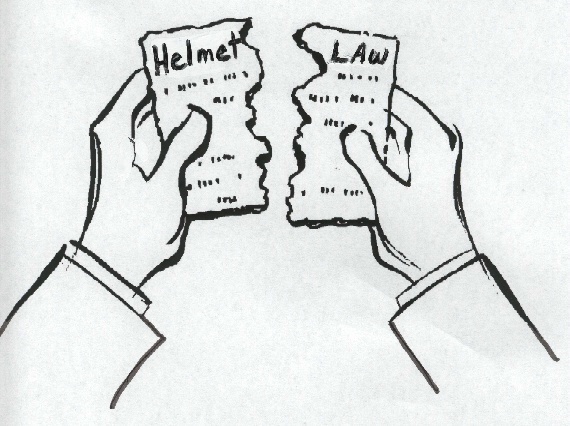 The helmet law history in Oregon. Full Disclosure: I support the choice to wear a motorcycle helmet and do. However, I also have opinions on government intrusion in my personal freedom and my right as an adult to choose and make bad choices. We all did it as young tikes on a bicycle…zoom down a hill and lock the rear tire brake putting the bicycle into a “lazy-S” skid. Locking the rear wheel required little skill and resulted in a small range of possible after effects. It was fun, cool and the likely outcome was bragging rights for the largest skid mark and/or wearing out the tire/tube (which your mom reminded you that money didn’t grow on a tree in the back yard) or being ejected off and acquiring a “road rash”….thus embellishing your bragging rights! On a motorcycle, however it’s a much different story. The deceleration of motorcycles is a topic of great debate among accident reconstructionists. There’s been very little research about motorcycle braking, despite improvements in tire manufacture grip and the increase of Anti-Lock Braking (ABS) systems installed on motorcycles. But, the Insurance Institute For Highway Safety released a new report (.pdf) this week which states fatal crash rates involving motorcycles equipped with optional antilock brakes was 38 percent lower than the rate involving similar motorcycles without those systems. Antilock brakes, similar to the devices found on automobiles, help riders stop their motorcycles abruptly without locking up the wheels or fishtailing. The system monitors the brake pressure multiple times per second, allowing motorcycle riders to fully brake both wheels in an emergency situation and avoid losing control and hitting the blacktop. Taking a “skid for life” is not something anyone looks forward to and this is especially pronounced when braking under a panic emergency situation. Speaking of emergencies. On a trip to Hells Canyon a couple years ago we were riding on two-lane roads in unfamiliar territory. As we came around a corner out jumps a 1000 pound Heifer from the side of the road. The motorcycle in front of me did an emergency brake…most of which was rear brake which then created a dirt-track type slid maneuver on the asphalt. 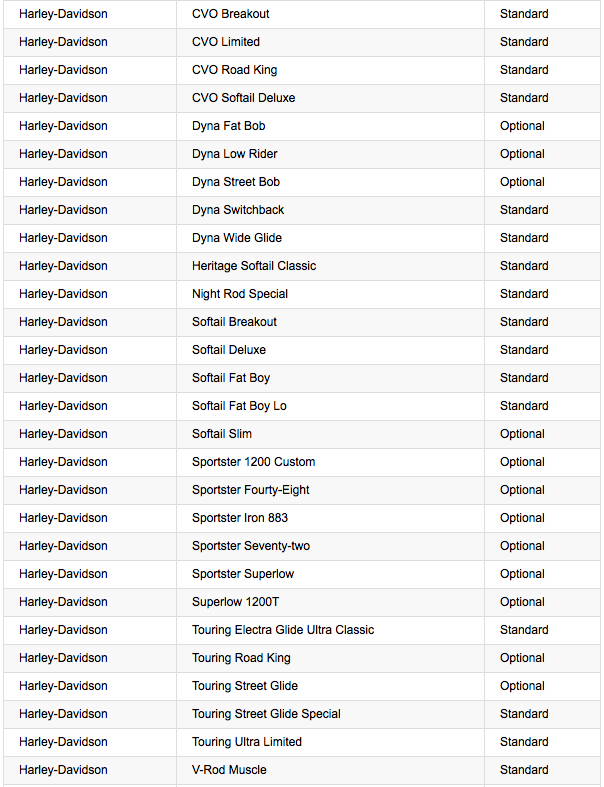 Big difference between a 300 pound 2-stroke and a 900+ pound Harley. He managed to pull it out of the “lazy-S” without going down, but it serves as a reminder to all about minimizing that rear brake effect. It’s well know that Harley-Davidson was slow to adopt this technology across the product line. In 2004 they announced ABS for certain Police models, but only recently introduced ABS broadly in the product line-up. Previously ABS was typically found only on touring bikes from Japan manufactures and was available on motorcycles from BMW since the K100 introduction in 1988. The report also found there were 6.6 fatal crashes per 10,000 registered motorcycles without ABS in 2005-2006. The rate for the same bikes equipped with ABS was 4.1, or 38 percent lower, during the same period. In a second study, they found that antilock brakes appeared to reduce collision claims – insurance losses were 21 percent lower for motorcycles with antilock brakes compared with similar motorcycles without ABS. The findings were based on a data set of 72,000 insured years of 2003-2007 model year Honda, Suzuki, Triumph and Yamaha bikes. Clearly the ability of maneuver under hard braking scenario’s or during a crash avoidance predicament is very important. In a DOT/NHTSA report (.ppt) it was reported that 22% of motorcycle fatalities were related to braking or steering maneuvers. In doing research for this post I came across this report from a Mechanical Forensics group which details a single long straight skidmark vs. a “lazy-S” shape and the meanings of each. The good news is that ABS is now standard or optional on about 40 motorcycles in the 2008 model year including BMW, Harley-Davidson, and Honda. In the Northwest sunny and dry payment is uncommon 9 months of the year and unfortunately we don’t get to pick the time and place for a panic stop. It’s during those unplanned panic stops that having ABS will pay for itself. Think about it, read up on the systems and if you’re like me you’ll want it! Photo courtesy Flickr and IIHS report.